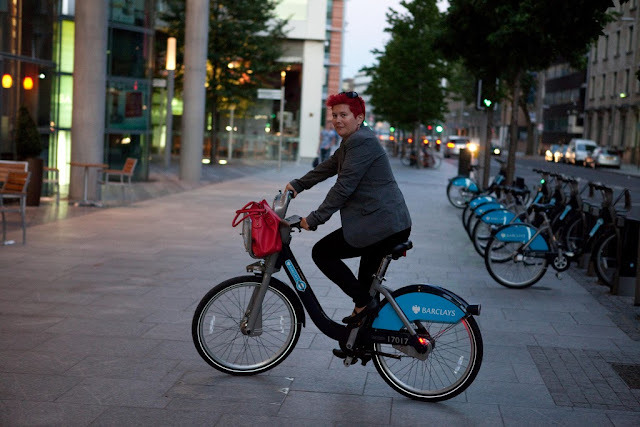 Barclays Cycle Hire Scheme: A Chic 1st time user! 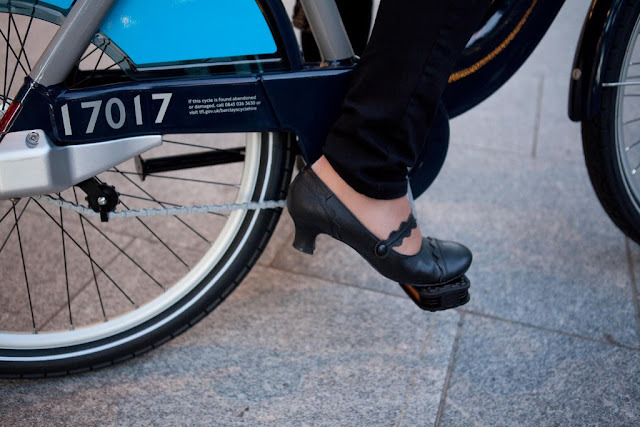 It's Day 2 of the Barclays Cycle Hire Scheme, and I had the pleasure of interviewing one of the newly registered members of it! *What was the nature of your journey today? *Was this your 1st time on one of the bikes? Yes, the very first time. I was Boris bike virgin till this evening. *Where did you start and end your Cycle Hire Journey? *How long did your journey take? About 10 minutes plus about 15 minutes messing around with a certain Jools before I got on the bike (!) and 5 minutes of double checking and panicking afterwards if I docked it correctly. * Did you find it easy to use (from taking the bike to docking it at the end)? It was fairly easy. The bit with docking it and trying to pick a different bike was slightly confusing but I am guessing there is a couple of minutes block between returning and picking a new bike. When I dropped off the bike, I used a docking station that was labeled as 'coming soon' but all the lights were working so I am hoping that I won't get overcharged. The downside is that the web service is not working at the moment hence I cannot even check if it all worked alright. * The bike itself - what did you make of it? I liked it. It was bit heavy compared to mine but I guess it added stability. Adapting the seat and changing gears was easy and I like the bag holder at the front! *Did you get any interesting reactions from people while you were on it? 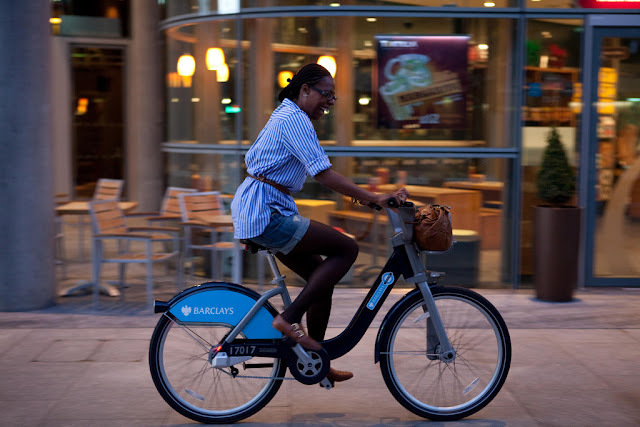 *Did you see many people on Barclays Bikes on your Journey? Nope. I saw one person earlier in the evening but no one on my journey. *What was your reason for joining the Scheme? Because I love cycling and I prefer to bike between places in Central London than get on the Underground. Plus it's dead cheap. *Would you recommend the scheme to other cyclists... and if so, why? Yessss! Because it is a fun way to commute and well, it's so much cheaper and greener than any other mode of transport in Zone One. 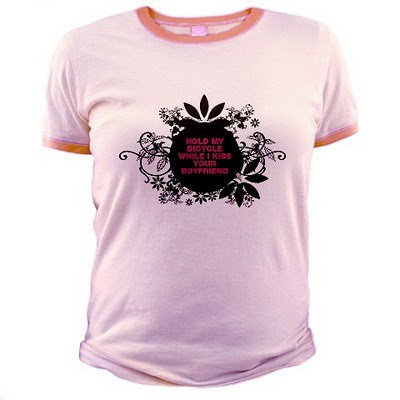 *Your Cycle-Chic today is fantastic... What are you wearing today for your ride? Many thanks to Tyla for this interview! You can catch more of Tyla over on her Flickr Stream. 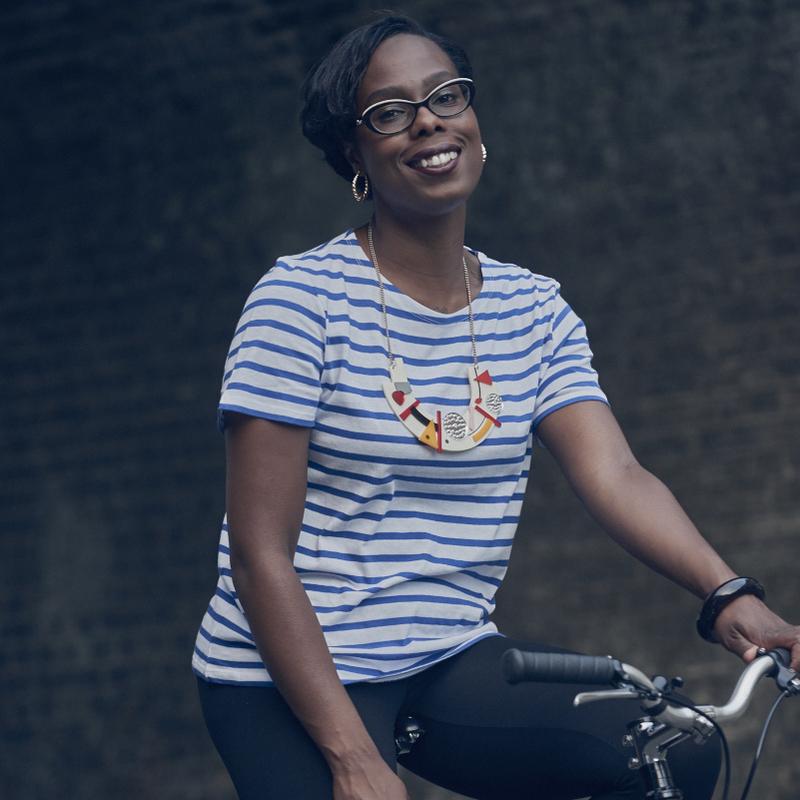 Today sees the official launch of the Barclays Cycle Hire Scheme in London. I'm not one of the people who registered for it, but I'm very keen to have a go when the casual scheme launches! Be great to see these bikes in action in London: it's always fabulous to see more people cycling around the city. There has been talk of perhaps extending the scheme to allow Oyster PAYG customers to use their cards to pay for the hire - be interesting if that were an option, as I would certainly use it. As highlighted by Mark over on his wonderful i b i k e l o n d o n blog , the scheme will hopefully inspire a new wave of Cycle-Chic across the City, with the casual user being able to hop-on a bike and go for a ride to get across town quickly. (thank you Mark for selecting me in your Chic round-up). If all goes to plan, I should be heading out on Sunday for a cycle though East London, starting at an insane hour of the morning... hopefully I might spot some of the Barclays Bikes and people using them.